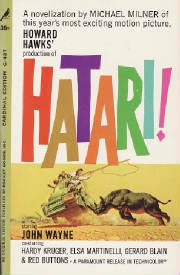 To the best of my knowledge this is the only edition to mention the movie. 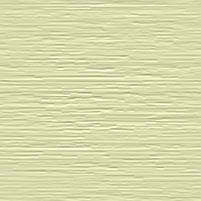 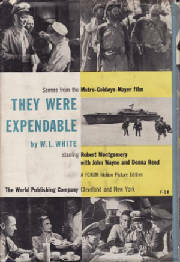 Note: Contains the 4 short plays which were made into the motion picture the Long Voyage Home. 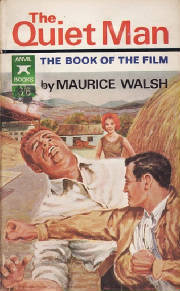 To the best of my knowledge this is the only edition to mention the movie. 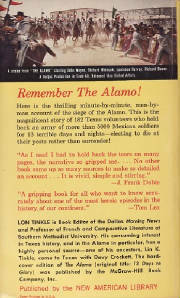 See close up of the back cover. 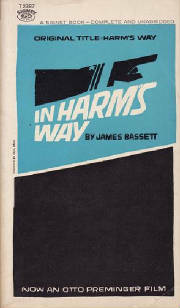 Note: originally published in 1907. 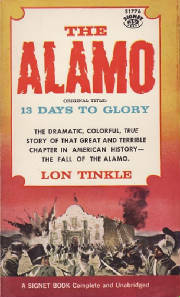 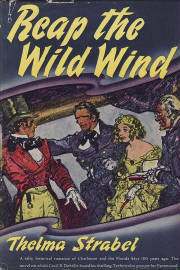 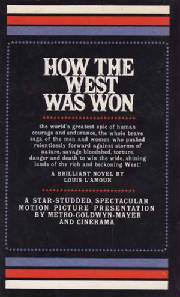 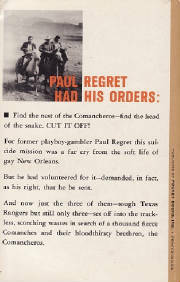 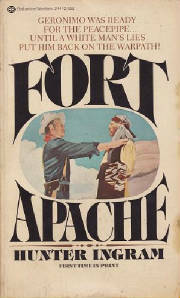 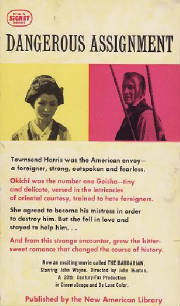 Note: Forword by Cecil B. DeMille, small mention of movie at front bottom of dustjacket cover. 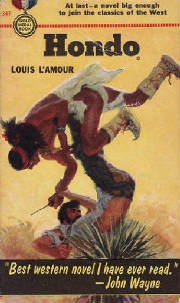 Note: originally published in 1905. 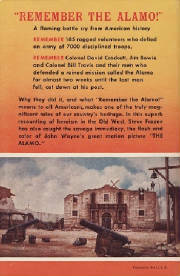 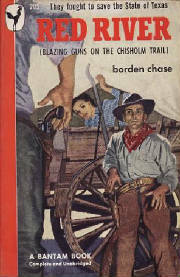 Note: originally titled "Blazing Guns on the Chisolm Trail"
Note: I'm not positive this book is based on the 1948 John Wayne movie of the same name, but it sure looks like John Wayne in the artwork on the cover. 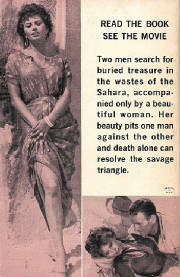 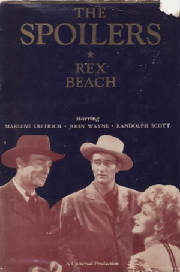 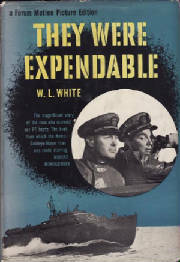 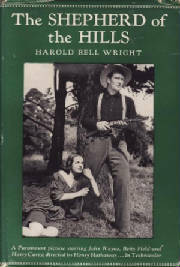 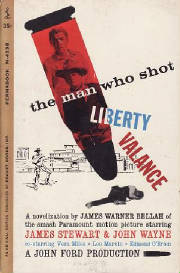 The 1948 movie was based on a short story by James Warner Bellah. 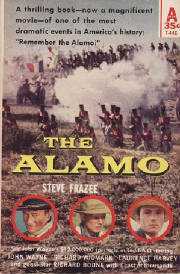 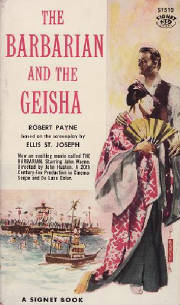 Although the movie came out in 1952, this 1964 paperback seems to be the earliest edition to mention the movie. 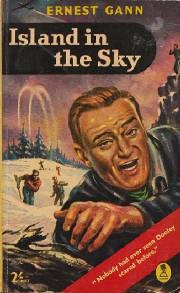 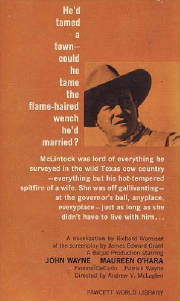 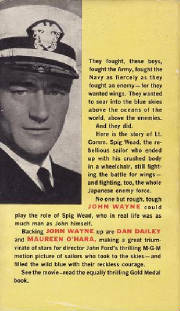 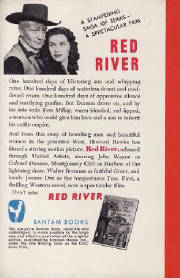 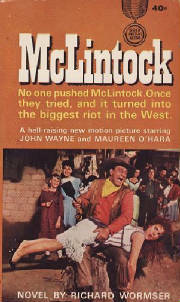 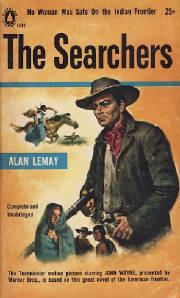 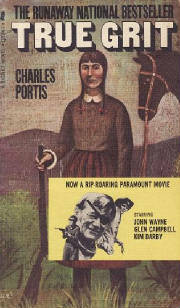 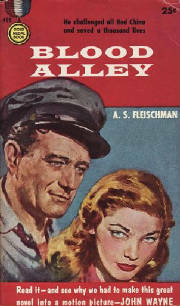 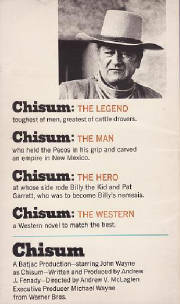 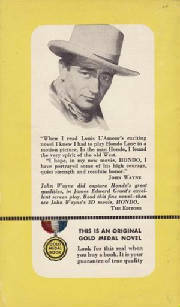 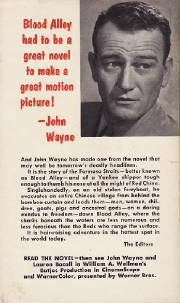 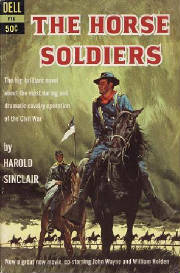 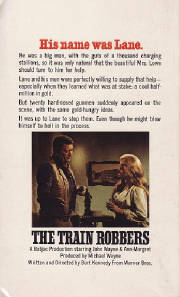 Although this paperback does not mention the 1953 movie starring John Wayne, the cover art sure looks a lot like him. 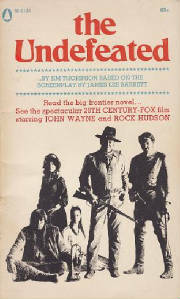 Note: based on a screenplay by James Edward Grant. 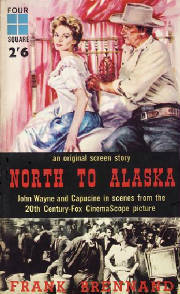 Note: based on the screenplay by Frank Fenton and William Wister Haines. 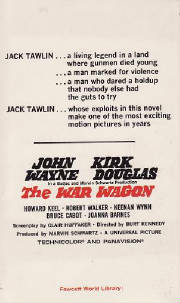 Note: based on the screenplay by Robert Presnell, Jr. and Ben Hecht. 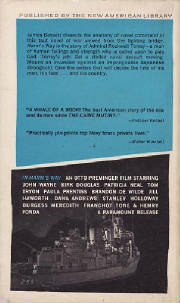 Note: movie photos inside front and back cover. 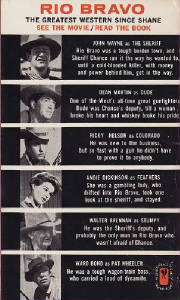 Note: movie mention and photo on back cover. 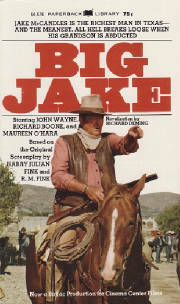 Note: To the best of my knowledge this book was not released in the USA. 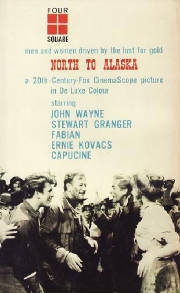 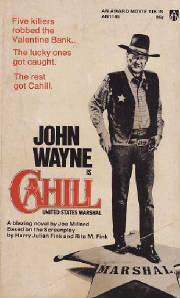 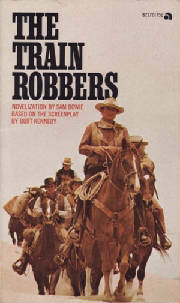 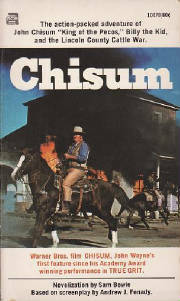 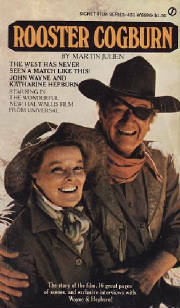 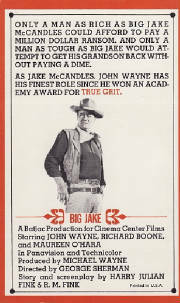 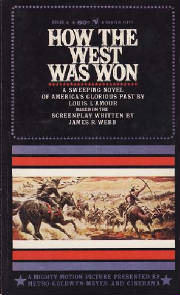 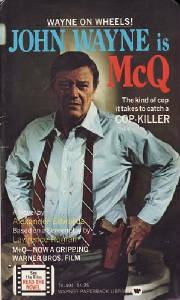 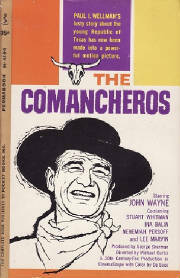 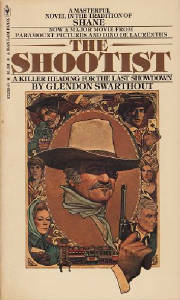 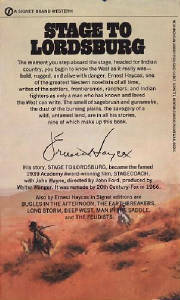 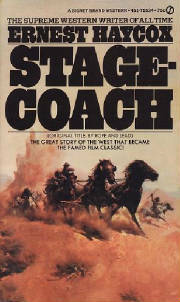 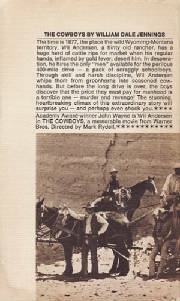 Note: the 1st printing does not have the John Wayne movie cover. 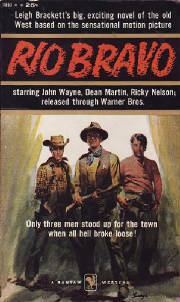 Note: Based on a Screenplay by James Warner Bellah and Willis Goldbeck. 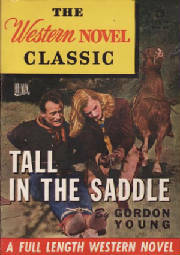 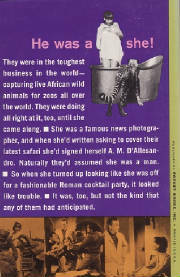 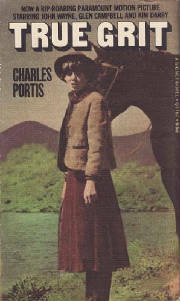 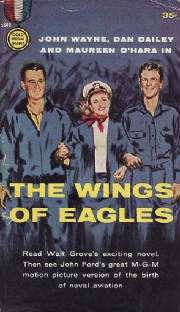 Which was based on a short story of the same title by Dorothy M. Johnson. 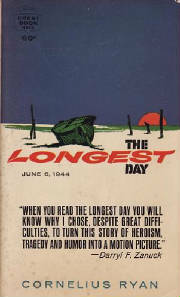 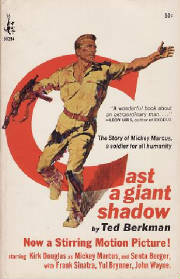 Complete title: "The Longest Day: June 6, 1944"
Note: First published by Pocket Books in 1963, the 1966 2nd printing has the movie tie-in cover. 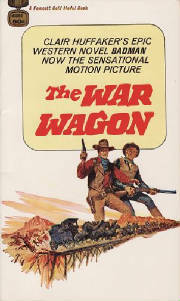 Note: movie tie-in edition will have a sticker on the cover as shown. 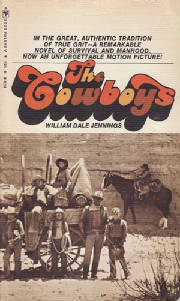 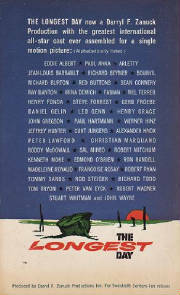 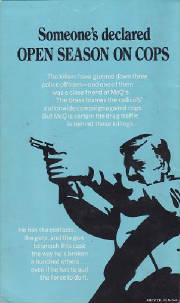 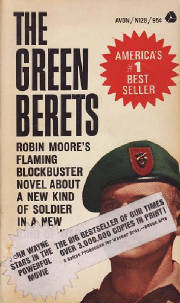 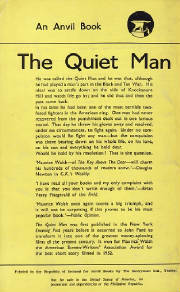 1971 (June) reprinted 1972 (July), also reprinted with a variant cover. 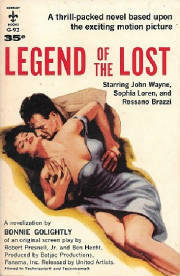 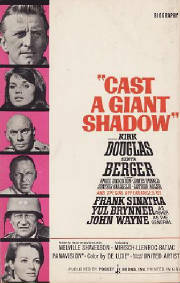 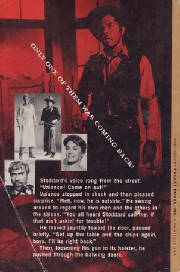 Based on a screenplay by Harry Julian Fink and Rita M. Fink.